Currys PC World. Version: 2019. 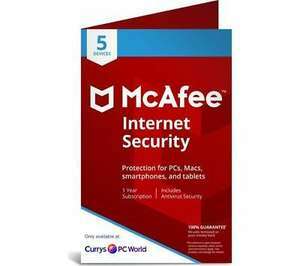 For Windows devices, this McAfee software blocks viruses, malware, ransomware, spyware, unwanted programs, and more. - Comprehensive protection for five PC, Mac, smartphone or tablet devices."